Table made out of one solid mahogny plank. 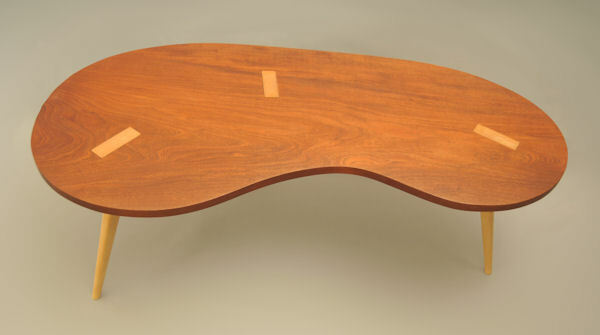 The legs are made of birch and are designed so the upper bit of the leg are seen on the top of the table. No screws or glue needed for fitting, all done by the wedge formed leg.